Choose Arizona Accurate when you need reliable, honest service at a great price. For more than three decades, customers have turned to us for all of their air conditioning repair needs. Our customers are after two things. Value and quality service. As a fully licensed and bonded contractor, we offer industry-leading service and reliability at a great price. Get in touch of us at any time to learn about the specials we’re running. Arizona Accurate is always running new deals and specials. Call 602-547-1598 to get a quote! Is your air conditioner acting up? Give Arizona Accurate a call. We can get to the root of even the most head-scratching problems. Our qualified technicians are experts at diagnosing problems and getting issues fixed. We’ve been providing Glendale air conditioning repair services for years. When you choose us, you’ll have the confidence that comes with knowing we stand behind all the repairs performed on your AC. We won’t charge you for work you don’t need or hit you with a huge markup for the parts. If you are looking for an honest and trustworthy contractor to handle all of you air conditioning repair needs in Glendale call 602-547-1598. 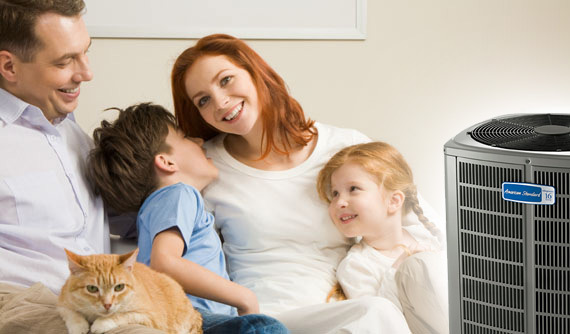 When it’s time to invest in a new air conditioner, trust Arizona Accurate to save you money. We understand that air conditioning is an important investment and want to make sure you have all the information you need to make the right decision. That’s why we provide a careful, in-depth consultation. We’ll look at your home or office and talk to you about what type of efficiency and cooling power you are looking for. Our installation technicians are experts at finding the perfect unit for you. You can count on years of solid performance from your new unit when you choose Arizona Accurate for your AC installation in Glendale. Our labor warranty combined with the manufacturer’s warranty offers the peace of mind that comes with knowing your new air conditioner is guaranteed to run strong for years to come. We stand behind every aspect of our work and know we can far exceed your expectation. Just give us a call at 602-547-1598 to learn more about the quality of our work and the warranties we offer. We do Tune Ups and Maintenance Too! Don’t wait for something to go wrong. We offer a full range of maintenance services and tune ups. You’ll get a thorough inspection of your system, along with a cleaning. We will even top off your refrigerant if it’s needed. They key to having a long lasting and efficient unit is staying on top of maintenance. Most major air conditioning repair in Glendale is only necessary because maintenance was neglected for too long. Let us keep your unit in prime running shape. You’ll end up saving a lot of money on repairs. Call us today at 602-547-1598 to schedule your appointment.